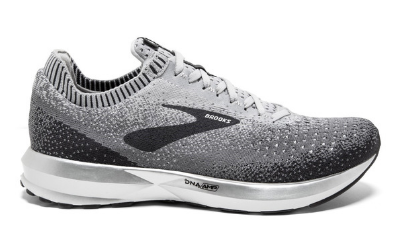 Shoe giveaway closes Sun 3 March. This is a structured 10 week group fitness education program preparing runners for the Great Ocean Road 14km Run. 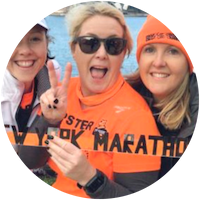 We're big on support, which is why we employ qualified and experienced coaches, and recruit volunteer leaders dedicated to each local group - training alongside you from your first run to race day. 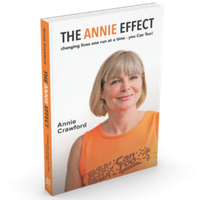 Train in a supportive group environment while fundraising for Aussie cancer research and prevention. 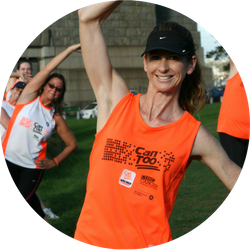 This program trains with the Sydney Morning Herald 10km Run and the Hawke's Bay 10km Run. Your 10 week program is packed with value including two coached sessions per week. In return for your program you will fundraise for lifesaving Aussie cancer research. No extra fees for qualified running coaches. No extra fees for venue entry. No extra fees for Fisiocrem + Bexters. To enter, register by Sun 3 Mar! If this is the first time you've signed up for Can Too, and you give us a fair go (by attending four of the first six sessions) and genuinely don't enjoy it — we’ll refund your registration fee. ... for a cancer-free future. With Can Too you’re around other people with the same purpose — they’re striving to do something to make the world a better place. You can’t help but feel positive or inspired, you absolutely CAN TOO overcome adversity such as losing family members to cancer. If I can change the life of one person it'll be worth it. One of Australia’s greatest, and most unique, making it a runner’s bucket list event - with the quirk of an unusual 23km 'ultra' half marathon. With something for everyone it's easy to make it a weekend away, with family and friends running or cheerleading for other runners across the weekend. Great Ocean Road is different to city running festivals, offering unique experiences that you won't get at Blackmores Sydney Running Festival, Melbourne Marathon, or Gold Coast Marathon. You will get country hospitality by the bucket-load, a course that takes in the magnificent views of the Southern Ocean, the chance to spot koalas along the way, and run the most iconic stretch of road in Australia that most people rarely get a chance to drive along in a car. Tick this box for an email reply.